Insync was the alias of Lee Purkis, who was one of the original staff members of the FatCat shop, and whose recording CV has included releases on labels like Irdial, Peacefrog, Fragmented and his own Tenth Planet label. Collaborating with Chris Hartley (aka Mysteron), Insync also made appearances on compilations and remixes for Plink Plonk, Millennium, and Push. Having spent time in Detroit with Juan Atkins, Insync was also a highly respected DJ, performing alongside the likes of Atkins, Derek May, and Evil Eddie Richards. 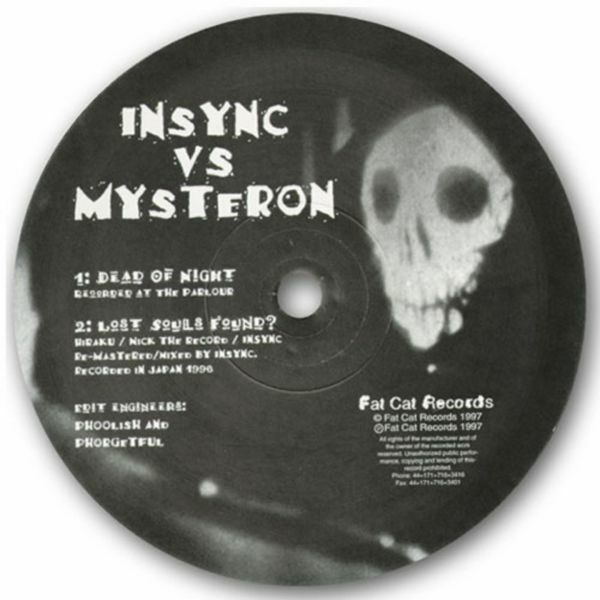 Recorded in Japan in '96 and released a year later, 'Tales from The Crypt' was the duo's sole recording for FatCat and became one of our earliest 12"s.